Berry on Dairy: Promote Dairy This Holiday (There’s Still Time! )…and Let’s Talk About 2014! Promote Dairy This Holiday (There’s Still Time! )…and Let’s Talk About 2014! It’s been an amazing year building BerryOnDairy.com and the Daily Dose of Dairy. Thanks to all loyal subscribers and a warm welcome to the newer ones! You are part of a rapidly growing global community of 5,000-plus professionals involved in the development, production, distribution, marketing and merchandising of dairy products and related beverages. A special thanks to advertisers and blog sponsors for making BerryOnDairy and the Daily Dose of Dairy possible. To the nearly 3,500 dairy products formulator and marketer subscribers: Please make sure you thank the businesses listed below. Please send an email to your sales rep and say “Happy Holidays! Thanks for supporting BerryOnDairy and the Daily Dose of Dairy.” You can also link to their websites by clicking on the company name. This will be the last Friday blog of 2013. The Daily Dose of Dairy will continue to feature a new product every Monday through Thursday during the holiday season. Friday blogs will resume January 10th. Some of these blogs are still available for sponsorship, and a limited number of website banner ads are available too. If you are a supplier to the dairy industry and want to reach the key folks involved in dairy foods innovations, please consider using BerryOnDairy and the Daily Dose of Dairy as part of your marketing plan. For more information, including available sponsorships and banner spots, as well as a rate card, please contact me HERE. Finally, as promised in today’s blog headline--Promote Dairy This Holiday (There’s Still Time! 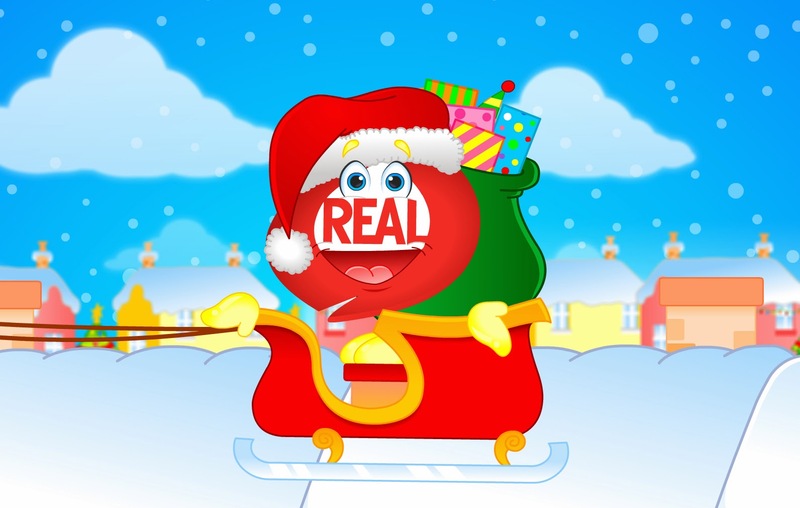 )—check out this new REAL Seal dairy products holiday promotional video. You can view it HERE. Have a Merry Dairy Berry Christmas and a Happy New Year!